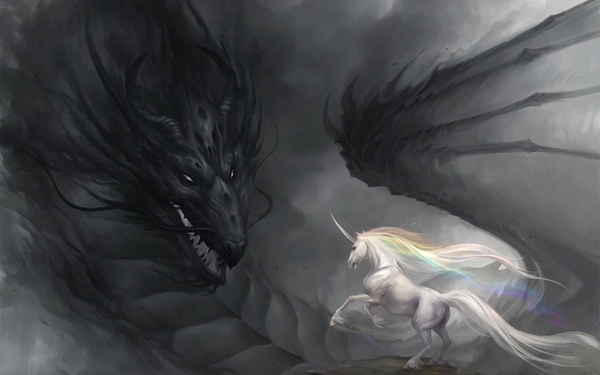 I love the tales of dragons, unicorns and fantastic creatures that feature in myths and storybooks. I’ve often wondered why such similar creatures figured in legends from across the world, across millennia. Did they once exist on the Earth or have men always had similar imaginations? Time to ask the one being that would know for certain – Mother Earth herself. The creatures of myth are but fears and dreams, hopes and concerns. Watching the fire manifests the dragon. Will it consume me, or you? Will it eat my fear or become my fear? Will it consume the forest of lush rest and mellow, sustaining fruit? Or will you or I control it, let it use only the dead wood to create life-sustaining warmth and enable you to prepare sustenance? Out of the fire may come the salamander, the dragon or tomorrow’s breakfast. Out of the waves may come galloping horses, born of the spray. Some may be horned as they respond to fight my fears, to pierce you to the heart with joy, to fill you with wonder. The more mythical the creature, the more magnificent is your response – and so their purpose begins to emerge. When I wish to impress a thought, a desire, strongly upon you, this type of creature does so in a powerful, unforgettable way. Thus such creatures come to you out of the waves, out of the fire; they rise out of clouds, or from cool lakes whose stillness is broken only by myth. They fall out of your dreams, whole and terrible or beautiful. The feelings they stir in you are so fierce, so all consuming, that you will always remember them. Sometimes they are awesome in their beauty and peacefulness – the sudden stillness of the unicorn in a forest glade. Sometimes they are swift and fearsome in their anger – the fiery swoop of a dragon from the skies, raining terror upon you. Always there is a purpose. Always these creatures are born out of my desire to impress something of importance upon you. They have no limits, as thoughts and imagination have no limits. They are my dreaming, my deepest desires, my hopes and fears and passions. Flow with them and together we manifest a brighter future for all. This entry was posted in Channelling, Written with spirit and tagged channelling, Dragon, dreams, elementals, inspired writing, mother earth, myth, Unicorn on February 25, 2015 by louisebwylie.